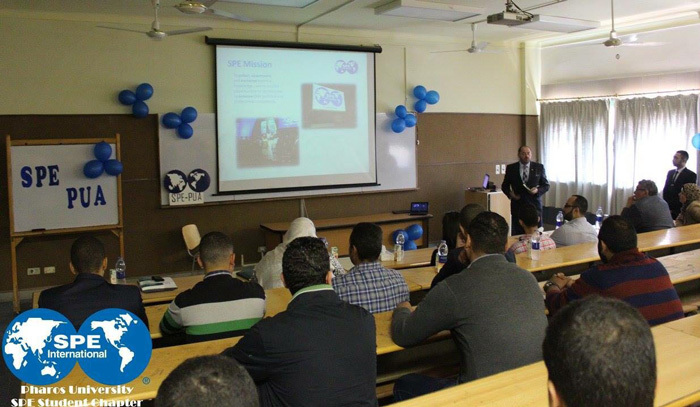 The faculty of Engineering – Pharos University hosted a delegation of the Society of Petroleum Engineers (SPE) on Saturday 18/11/2017. 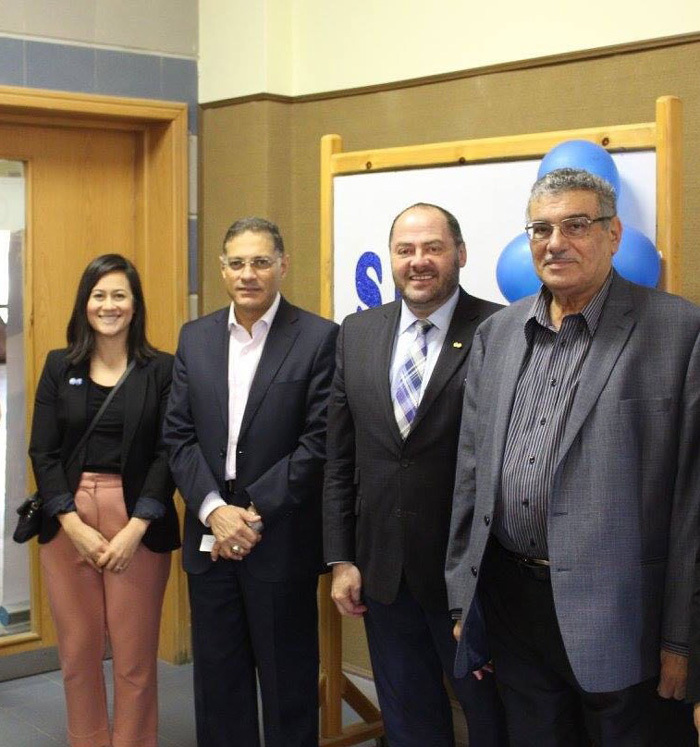 The delegation was comprised of Mr. Darcy Spady, the Head of the delegation and the President of the Society of Petroleum Engineers (SPE), Mrs. Jackie Hoffmann, Eng. Marwa Alqutt, Eng. Mohamed Tarek and Eng. Mohamed Mahmoud. 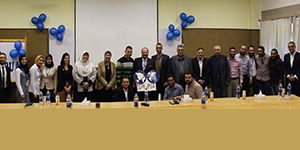 The delegation was received by Prof. Mohamed Gaber Abou Ali, the faculty Dean; Prof. Mohamed Fahim, the Head of the Petrochemical Engineering Department; Prof. Ehssan Nassef, the Academic Advisor of the Student Chapter of the Society of Petroleum Engineers at Pharos University. 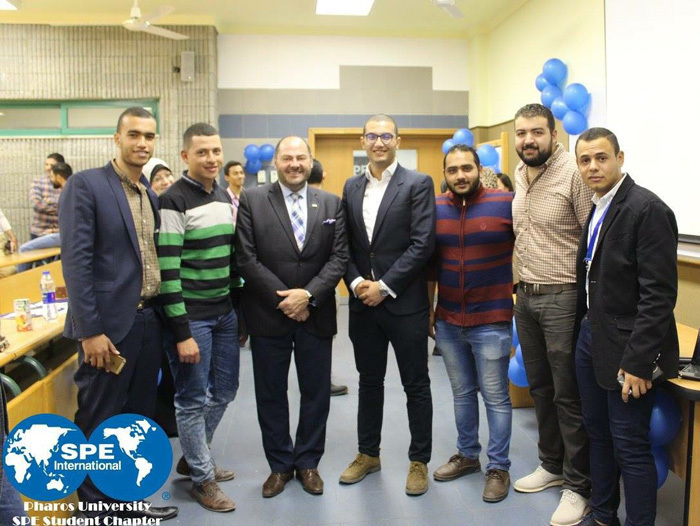 The President of the Society of Petroleum Engineers (SPE) gave a lecture on the significance of the petrochemical industry and referred in his words to the importance of joining SPE and the advantages the students will enjoy after joining SPE. 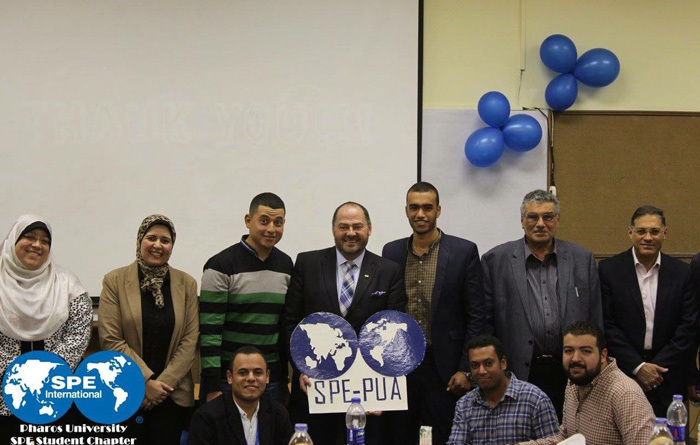 PUA academic staff also gave some words to welcome the SPE delegation, pointing out to the progress the Student Chapter of the Society of Petroleum Engineers achieved to Pharos University. Ahmed Ghazi, the Head of the Student Chapter of the Society of Petroleum Engineers at Pharos University, gave also a short presentation of the student chapter activities in the last year. 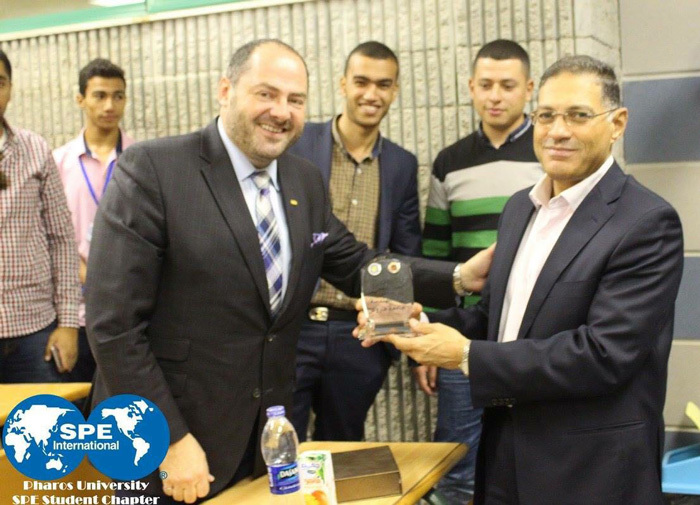 At the end of the visit, the faculty Dean presented a commemorative plaque to the SPE President.